Was never completely happy with this one. 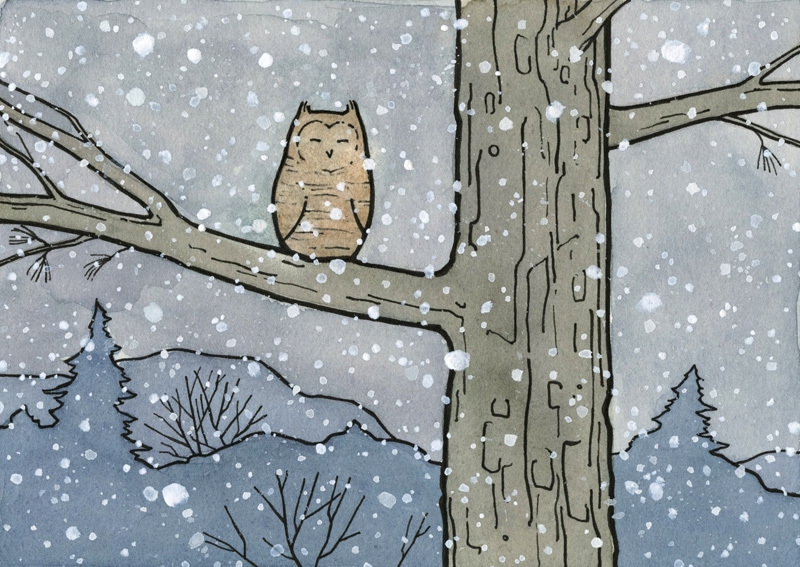 So after a couple weeks of working on other projects I came back to it and reworked parts of it – mostly the owl and snow. I like it a lot more now – I think it’s a lot more interesting. Should have a new owl up in the next few days! It will be a fun one!